The unreleased album from 1983 on CD - digitally remastered. 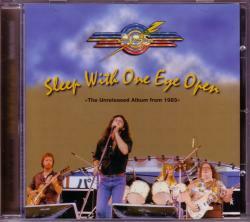 In 1983 - after "Quinella" - ARS went back into the studio to record another album for CDB-Records. A couple ot the songs are said by insinders to be some of the best work ARS had done. But CBS wanted to change out some songs, and creative differences led to the entire album being shelved and never released. This CD contains the unreleased recordings from 1983.